Hiring? Toptal handpicks top business website design experts to suit your needs. B2B UX design is notoriously lousy. Think about a time-card UI you were asked to use, or—the worst—the time it took to file a complicated expense report through a company portal. Was it easy? 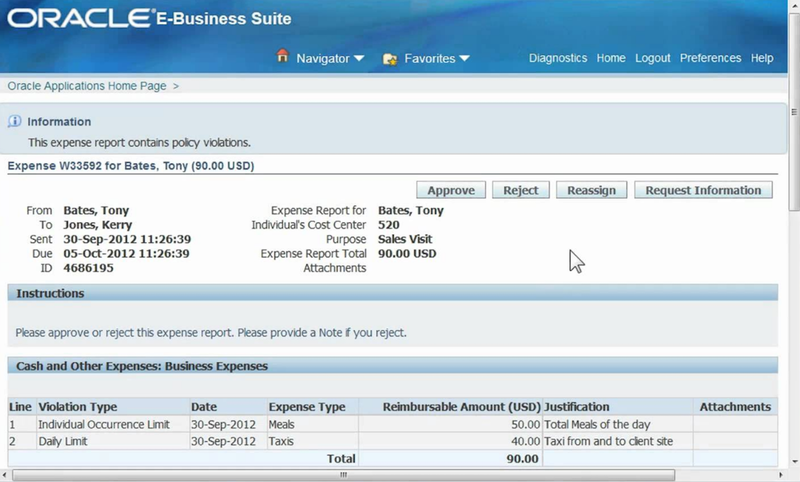 Some examples that many readers may be familiar with are Oracle’s Expense Reporting solution or Concur, which are hopelessly convoluted. If you have ever applied for a job and were then required to create your own unique account and enter all your specifics like address and work eligibility, there is a good chance the system behind it is Taleo, an HR recruiting software. Of course, this is not the only kind of B2B software. There are literally thousands of niche, specialty software solutions for any job function imaginable, such as HR management, financial tracking, marketing software, and supply-chain management. A lot of this software is feature-rich but difficult to use. The software provides a huge amount of value, but it is difficult to unlock. The widely-used Oracle expensing software is an example of bad enterprise UX design and nightmare for users. There are understandable reasons why the B2B user experience is so poor. In some cases the software is just plain old, having been built in the late 90s or early 2000s when web app design was in its infancy and browser technology did not allow for rich experiences. Much of the software was built by teams comprised solely of engineers who knew nothing about UX or UI design. Their primary concern was to ensure the software allowed for a lot of functionality and features, not usability or B2B UX best practices. Once you have a piece of software that has wide adoption and is feature rich, doing a design overhaul becomes difficult; the scope is large, and undertaking a wholesale redesign poses a high risk. Over time, enterprise products accumulate dense, complicated business logic, often meant to appease the special needs of a particular “large whale” (customer with deep pockets). With the potential to upset customers used to their very specific application behavior, it is often difficult to get things exactly right when attempting to overhaul software with this level of complexity. The existing user base will most likely complain about any significant change to something they are familiar with. Although users may complain incessantly about the poor usability of the product, they are typically resistant to any meaningful change, even when it is a vast improvement. 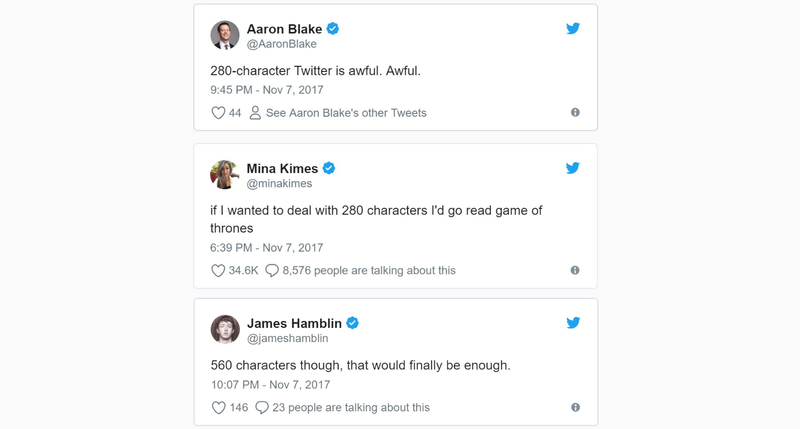 This type of resistance is easily visible in B2C software; whenever Twitter or GMail makes any consequential adjustment, there is invariably an uproar on social media. B2C users, such as those on Twitter, abhor change just as much as B2B users. There is another reason why B2B UX design is bad—the buyer is not the end user. 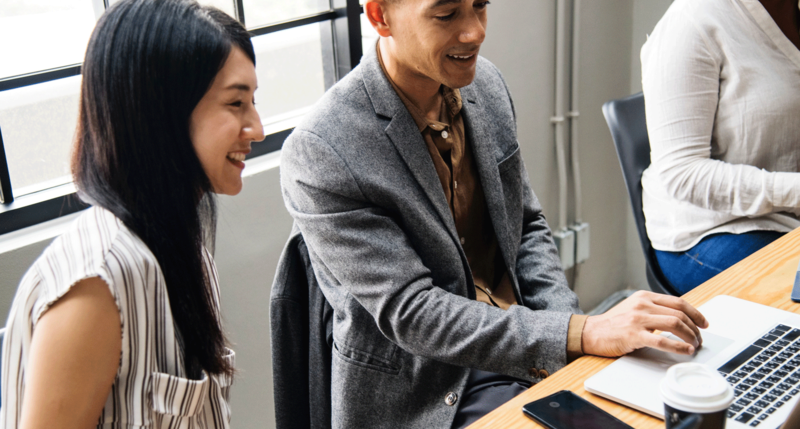 Normally the IT and procurement departments are responsible for purchasing software on behalf of the enterprise, and they use an IT scorecard to assess potential solutions. However, the scorecard does not include usability, because these are not factors that affect IT or operations directly. Additionally, most companies do not necessarily possess the expertise to execute a UX review even if they were inclined to do so. The end users and their projected experiences with the product are just not involved in the buying decision. So, what’s to be done? Let’s approach this from two angles: the perspective of the company building the software and the companies looking to purchase B2B software. To start, let’s approach it from the perspective of the company building and designing B2B applications. As mentioned, there is a very high risk in replacing an entire UI in one fell swoop, and it’s quite rare that the business case for such a large investment would look attractive to executive management. What that means is there will probably not be a massive, one-time investment to redo the UX; it will happen in phases over time. In order to achieve the “build it over time” approach, the UX team needs to construct a UX roadmap for the product. The roadmap should show how, incrementally, the software would evolve to meet modern standards. This should include the net-new product, as well as all the legacy UI that has accumulated over the years. 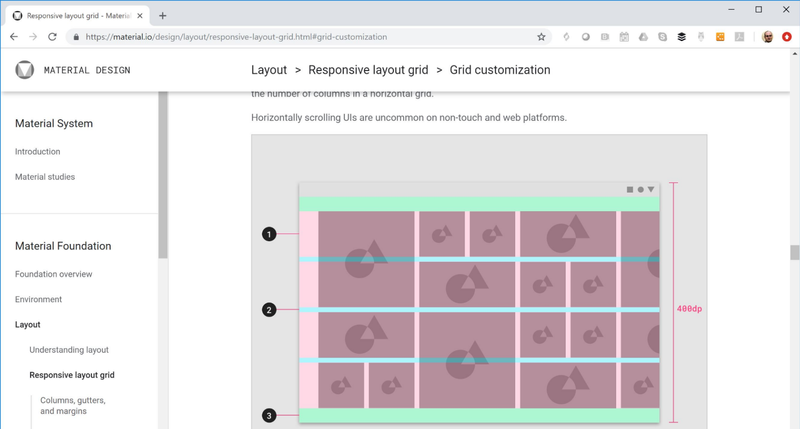 Typically a component library or design system will need to be built as the first step so that all work can align with a single set of standards. Getting feedback to establish the UX roadmap will be like drinking from a firehose. There are many stakeholders in a B2B organization that will be highly opinionated about the user interface. Sales as well customer service and support teams will have direct input from their customers culled from running demos, onboarding new users, responding to complaints, and filing bug tickets that can be a roadmap for UX improvements. Even Salesforce, a veritable behemoth in the B2B space, still has screens designed in the dark ages. Nevertheless, there is still one critical component missing: the users themselves. All the data described above is secondhand data filtered—and managed—to fit the stakeholders’ goal. It can be difficult to get to end users because often the account teams are wary of direct interactions they do not control. However, conducting open-ended interviews with these users is invaluable. So, what to do with all this information? Creating an affinity map diagram is the first step. The affinity map will triangulate the issues that repeatedly come up and aid in the prioritization process. Once that is done, use the insight gained from the affinity map to create a customer journey document. A good customer journey map document can be utilized to gain buy-in within the organization about the UX changes that should take place. 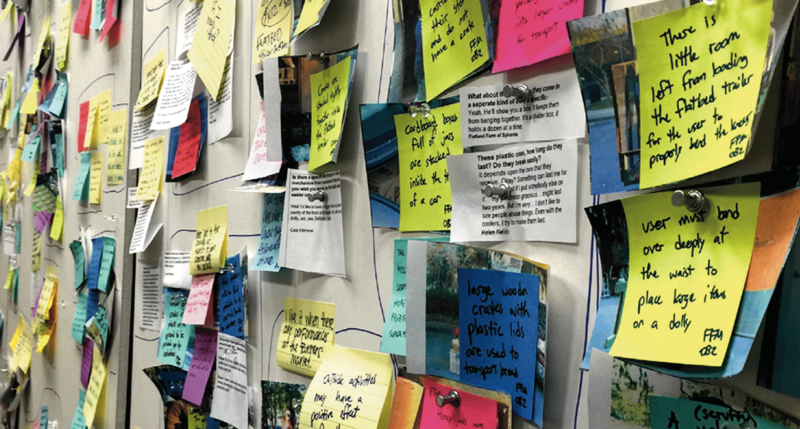 Organizing feedback into an affinity diagram will help designers uncover common issues and frequently-encountered holes in the B2B user experience. Showing executive management where users are stumbling, based on concrete data points from inside and outside the organization, is very powerful. Having established the problems that need to be solved, it is now time to try to fix them via design. In the early to mid-2000s, there were fewer established UI standards for software companies to reference and use. Therefore, most products that need to be fixed use many outlandish and nonstandard UI components. The best way to improve the UI is to simply adhere to the common standards existing today. Material Design is a great start, and you can make modifications to the Material Design component set based on your product’s unique functional requirements. But Material Design is not the only game in town. B2B designers constantly hear “Make it like Facebook” or “Make it like Google.” Therefore, study Facebook, Google, LinkedIn, and other popular software your stakeholders use, and where possible, incorporate similar elements. Make no mistake: Not all issues will be related to user interface components. Sometimes, the software is simply not doing something the user needs in order to complete their task. In this case, the designer must establish the functional requirement/user story that needs to be added; often, this will be hand-in-hand with the product manager. Come armed with all the data you’ve collected to ensure a successful outcome. Sometimes, just updating the software to a common standard, like Material Design, will make a huge improvement. UX teams at SaaS companies can leverage A/B testing to prove that their design work improves desired metrics and delivers ROI. Working with their peers, designers can pick small areas to work on, and then deploy it to only a segment of the existing customer base. If the segment getting the new software is showing an improvement in the desired metrics, then the designers have hard proof in numbers to show the efficacy of their work. Establish metrics to compare in both segments of the population. In B2B, figuring out the right metric is different than in the B2C world, since the goals will typically not involve standard metrics like purchases or conversions. Instead, metrics that work could include time to complete a task, the percentage of users successfully completing a task, or reduction of task abandonment rate. Look for metrics that correspond to alleviating the pain points found in the affinity diagram. Even just flat-out usage of a function can be a very strong indicator. If the A/B test is a comparison of the way a feature is implemented and designed, then increased usage in the new version is a compelling indicator of success in B2C software. The software landscape that allows designers to easily leverage analytics in an authenticated, B2B environment is still evolving. The go-to tool for websites, Google Analytics, does not typically work out-of-the-box with SaaS software. Instead, third-party software needs to be installed onto the Saas infrastructure to collect the relevant data. Platforms like Pendo make life easier for users by following B2B UX best practices. The space of Enterprise UX analytics is still establishing itself, but some out of the box tools are Pendo, WalkMe and Userlane. Designers need to work very closely with the DevOps team on a regular basis in order to collect the right metrics and make them available in a format that is digestible. Earlier, we discussed a large number of stakeholders involved in collecting feedback. Circle back to them to demonstrate the new UX—this creates goodwill as well as provides insightful feedback. Hopefully, during these informal meetings, you’ll find out whether the stakeholder is satisfied (or not!) with the new solution. Also, circle back to the end users you interviewed previously. It will show that the UX team was listening, and you’ll get good feedback. Another great tool in the designers’ treasury is the beta program. In a beta program, a new module or set of functionality is rolled out to a highly reduced audience. Usually, the participants are clamoring for some new feature or experience, and have volunteered to be part of the program. The value of a beta program is its high degree of interaction with the client. So in addition to being able to capture data, the UX team can directly interact with users to get their uncensored verbal feedback. The feedback is excellent for improving the design, and assuming it is positive, helps build goodwill towards the UX team from everyone involved in the beta, which typically includes product management, engineering, and sales. Using the best testing process in enterprise products is a great way to get feedback. In beta programs, the product marketer, who is the gatekeeper to the customer and usually designated to take point on beta rollout communications, is especially your friend. How might it be applied to the procurement process? Include the user of course! When a company is buying software for its end users, those employees need to be represented on the scorecard that evaluates the purchase decision. When stated like this, it’s hard to believe that it is done any other way. Regular users are not UX designers and can’t provide a detailed heuristic review of the product that they are being asked to assess, but they can give their own subjective views on whether the software is likely to be something they will adopt. Fixing B2B UX is both a supply and demand problem—software vendors need to improve aging platforms, but the purchasers need to start requiring improvements. From the purchaser side the solution is straightforward—include real end users in the purchasing decision. From the vendor’s side, the answer is to build a great UX team and give them support throughout the company. From a business risk perspective, an incremental approach is safer, more realistic, and more likely to appeal to executive management. Put in place a staged roadmap that is backed by customer research. This will do much to assuage management concerns. The B2B space is not hopeless. Startups are disrupting incumbent players, bringing slick UIs to the table and embarrassing the dinosaurs during the sales cycle. You can see the change yourself. Whereas job application software including Monster and Taleo (now owned by Oracle) used to be convoluted and Dilbert-esque, streamlined services such as Indeed, ZipRecruiter, Glassdoor, and LinkedIn are appearing all over the place. All of these services reduce the friction of applying for a position. 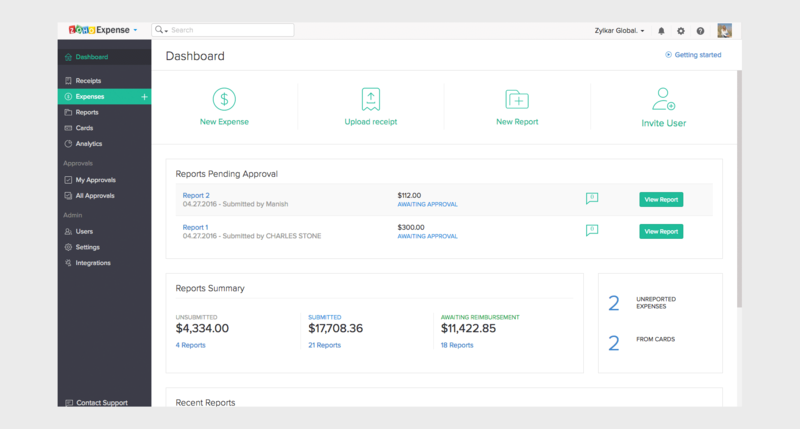 Compare Oracle's expense report UI to newcomers like Zoho and it's obvious how much better design can improve B2B user experience. 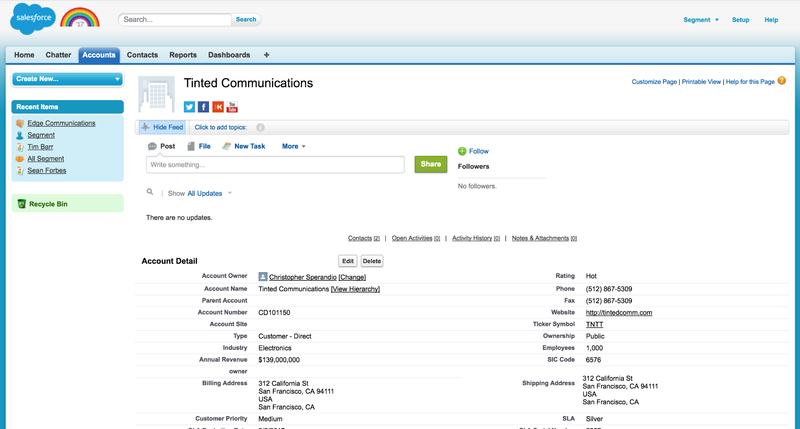 Salesforce, a giant in the B2B SaaS space, makes a significant commitment to UX internally, and they are doing very cool work such as their Einstein AI platform. Older companies, too, have recently made a big commitment to better design. Even Oracle is evolving its approach to B2B UX design. There is also a trend which is changing the mechanism that companies use to buy software. Some software is both B2C and B2B in that it allows users to directly use or purchase the software without the involvement of Procurement. Well-known examples are Google G Suite, Trello, Slack, and Dropbox. Because in some sense the initial purchaser is the user, the user persona drives the processes used to build the software. 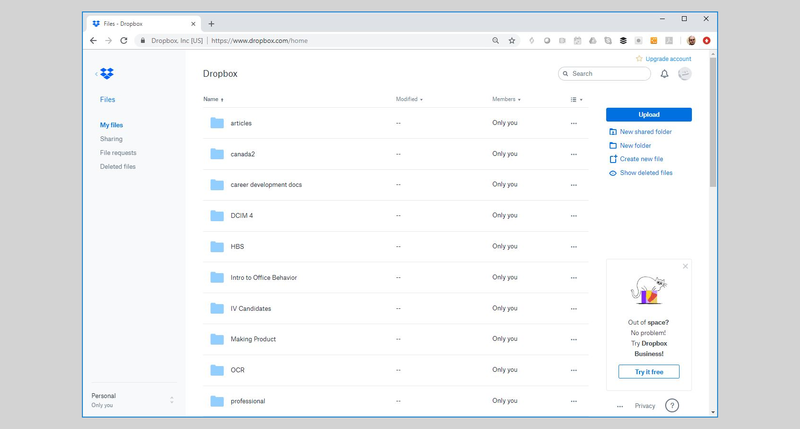 Dropbox is an example of B2B applications that deliver a minimalist but winning UI, attractive to end users and buyers alike. We have not seen the end of large, monolithic software that struggles to keep pace with modern standards. However, albeit slow, the trend is moving toward improvement. We already see a commitment from large companies towards better UX. B2B software that individuals bring into companies is forcing everybody in the B2B ecosystem to up their game. And finally, as more and more people brought up on Facebook, Google, and Apple devices enter the workforce, the demand for improved experiences will begin to grow. The signs are already there, and UX designers are leading the charge. What is a B2B company? A B2B company is a company that designs and develops software solutions designed for use by other businesses. For example, a B2B company may specialize in HR solutions for other businesses. With improved standards, B2B user experience is advancing. What is a B2B company example? Oracle, which provides several business solutions software, is an example of a B2B company. However, Oracle is known for its awful B2B UX that has remained unchanged over the years. B2B is short for business to business. This usually means a company that provides products and services targeted to other businesses, and not for consumer use. B2B UX should still be focused on the end user. What is difference between B2C and B2B? B2B is short for business to business, while B2C is short for business to consumer. A B2B company produces products and services for business clients, while a B2C company delivers products and services targeted toward the general public. The approach to B2B UX design is different to that of B2C. How do B2B companies work? B2B (Business to Business) companies provide products and services to other companies. B2B UX has been notoriously bad, but with new players in the space, enterprise UX design is slowly improving. UX, or user experience, is important. In the early digital age, software was often developed with little consideration to usability or the experience of the user. This made early software frustrating and difficult to use. As B2B UX design has matured, software has improved and become more accessible to end users. UX methodology is a term for the tools and methods used by user experience designers to conceive, design, test, optimize, and deliver user-centered products and services. There are various UX strategies that can optimize products for usability. The UX process is a set of tools, UX strategies and methodologies that designers employ to deliver user-centered design. In general, the process includes steps like research, discovery, ideation, validation, iteration, refinement, and user testing. Samuel is the type of guy who can take a complicated mess—fully drawing upon his many years of design and leadership experience in UX process and strategy—and figure out how to fix it. During his more than 15-year career, he’s worked primarily at two large companies but he retains the mindset of an entrepreneur. Samuel possesses extensive experience both as an individual contributor and in more formal management roles.